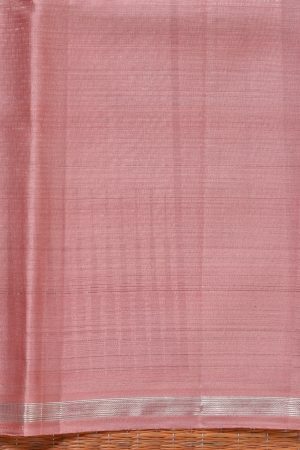 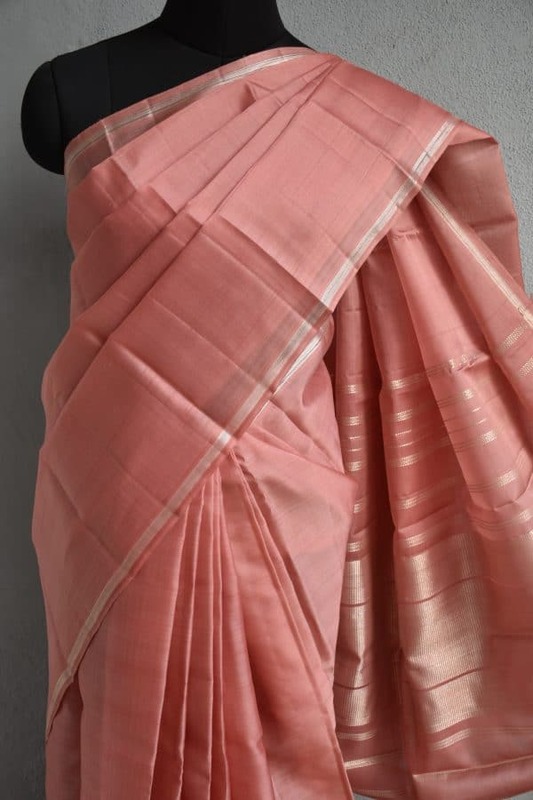 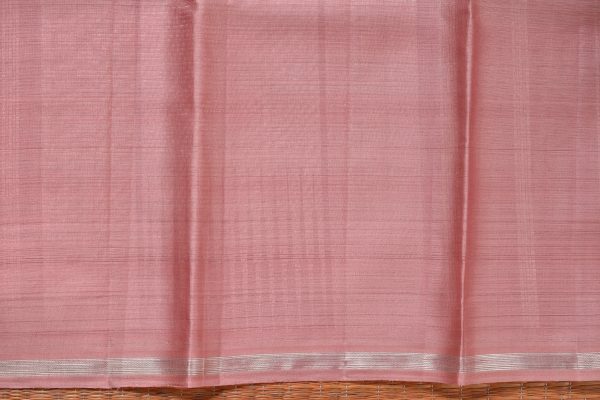 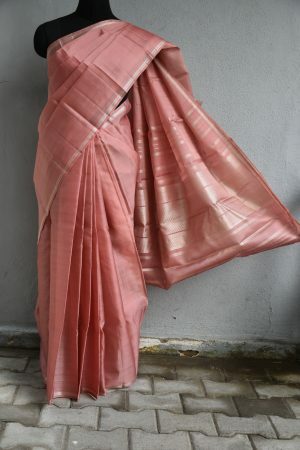 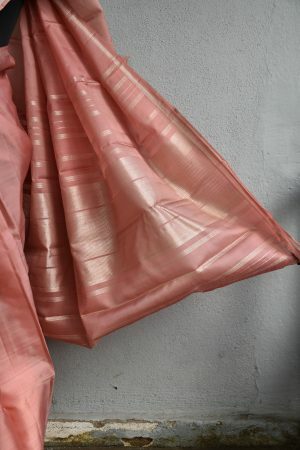 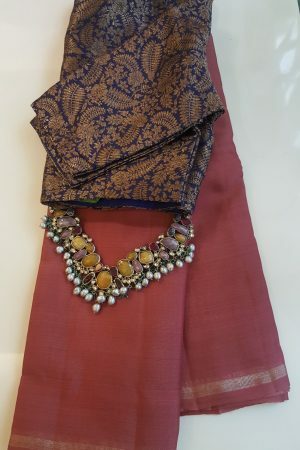 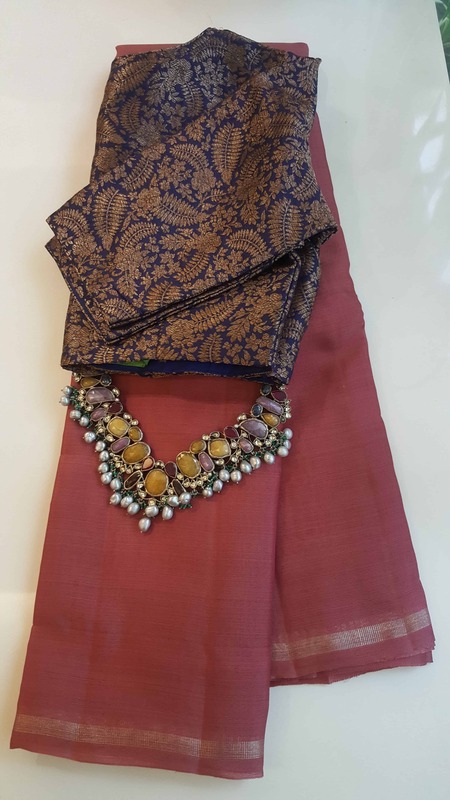 Dusty pink plain organza kancheepuram silk saree with a thin silver zari border along the saree. The pallu is woven with silver zari and has the traditional katari stripes on it . 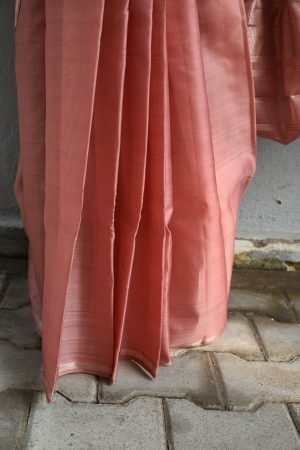 The blouse is plain organza silk in dusty pink.